Is it mental illness? Or is it something else? Could it be something Spiritual or Otherworldly? Are those voices coming from a malfunctioning Temporal Lobe (more in a future blog), which can cause heightened spiritual experiences, feelings of dejàvu, and even hallucinations, or could they actually be coming from something in the spiritual realm? These questions have plagued mankind for as long as the mind has existed. Many illnesses were contributed to spiritual causes once upon a time, but mental illness is the only one that seems to perpetuate this dual causation. I find myself defending a stance that modern psychiatry has long tried to stamp out with only science. I personally feel it can be both spiritual and neurobiological, either, or neither. And I have experienced all three. I have lived normally (experiencing neither) most of my life, but have also had more than my fair share of psychosis (even catatonia) and have had many encounters with the spiritual realm that no one could ever convince me of being psychotic. Most of these experiences were very different from each other, although I do think one of them was a combination of both. I will be talking about my journey as someone who has had a successful run of treating bipolar naturally for years (best-selling author of Med Free Bipolar, Amazon), but has also operated in the “seer” capacity of seeing beyond the Veil into the spiritual realm off and on since I was three. I am a follower of Christ, but have spent much time (as an Asian Studies minor in college and living in Japan) studying world religions and know more about most religious/spiritual beliefs than many of the people who claim them. 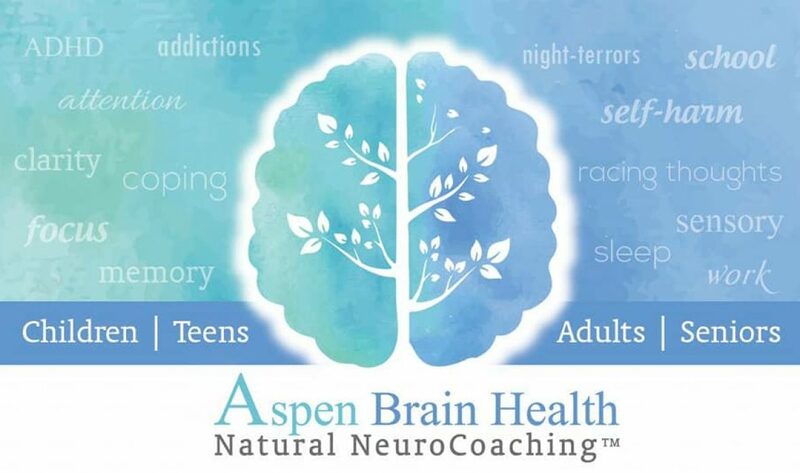 I also operate in a professional peer-to-peer setting as a Dr. Amen Brain Health Certified Coach, where science, research, proof and evidence reign in my day-to-day work, but where clients regularly are drawn to me to talk about all the spiritual and religious things they can’t explain to their psych doctor without fear of committal and extra medications. It’s a safe place where nurses share about the fading light and spirits they see leave people’s bodies at the hospital where they work, and “new agers” chat with me about astral travel and past lives at the same time they talk to me about their mood swings and anxiety. I even get to pray over some of them for healing if they ask me to, right before I share with them what has worked for me using scientifically-backed natural methods. The juxtaposition between the two should seem strange, but is just a part of my ‘normal’ day. God has given me more than one way to provide them with insight and answers. But now I am meeting whole groups of people who operate in the supernatural without a diagnoses of mental illnesses. On the “I’m spiritual not religious” side, many of them talk of “astral travel”, meditation, seeing spirit guides and claim to be messengers of angels, as well as healers performing successful hands-on-healing techniques where I have seen results. Many in this group seek enlightenment and talk of hearing voices from the supernatural realms without seeming to care if people call them ‘crazy’. On the “religious not spiritual” side of this, I have interviewed many people who operate in what is called the Gifts of the Spirit (1 Corinthinans 12), or other religious experiences, like seeing into the spiritual realms, speaking in tongues (heavenly languages), discerning whether spirits are good or bad, and even the Christian version of astral projection, called “traveling in the spirit”, or “supernatural transportation” (2 Corinthians 12:1-5, Revelation 4:1-6, Ezekial 8). Many in this group are also performing successful healing miracles, seeing angels and demons, and seeing people delivered from mental illness for good. One of my favorite early “faith-healers” was Katheryn Kuhlman, who saw thousands of people healed in her meetings without even touching them (watch the old videos on YouTube). So, how do you know whether what you are dealing with is mental illness, or something spiritual? Well, sometimes you just can’t. But there needs to be more discussion about both, and more dialogue about options that are out there for addressing the underlying neurobiological issues (see www.medfreebipolar.wordpress.com), as well as the spiritual solutions that exist. In this blog, I will be openly talking about all things mental health, as well as things that seem quite crazy, like exploring the word God laid on my heart recently: See-ER (Spelled SEER in a vision but pronounced to me in my heart as See-ER, one who sees.) As I study the differences between diagnosable “crazy” and “seeing” and “hearing” voices from God, my life weaves back and forth between the two like a braided cord my whole life. There are many stories I will tell that are clearly not “diagnosable”, or explainable by the world of psychiatry, which include many visions that later came true, as well as incidents that other people witnessed. I believe God’s Psychiatry is the answer, both in the answers He has given us for Med Free mental health, as well as the spiritual answers. We are body, soul and spirit, and separating them and compartmentalizing them is part of why we have found ourselves in such a mental health mess. It’s time to open our Hearts, Minds, and Spiritual Eyes to the only One who has all of the answers.